It’s a new school year at Minecrafters Academy, and Lucy is returningthis time not as a student, but as headmaster. She sets to work preparing the school for the Overworld Academic Olympics, a prestigious competition that will test their combat, treasure hunting, and potions brewing skills. But training is interrupted when an explosion rocks the campus. The school is under attack from a mysterious culpritand everyone is a suspect. Meanwhile, Julia, a new student at Minecrafters Academy, is having a hard time adjusting to her new life on campus. When she catches her roommate, Hallie, sneaking around just after the attacks on the school, Julia begins to suspect her. Then Hallie goes missing right before another round of explosions and a massive creeper invasion. 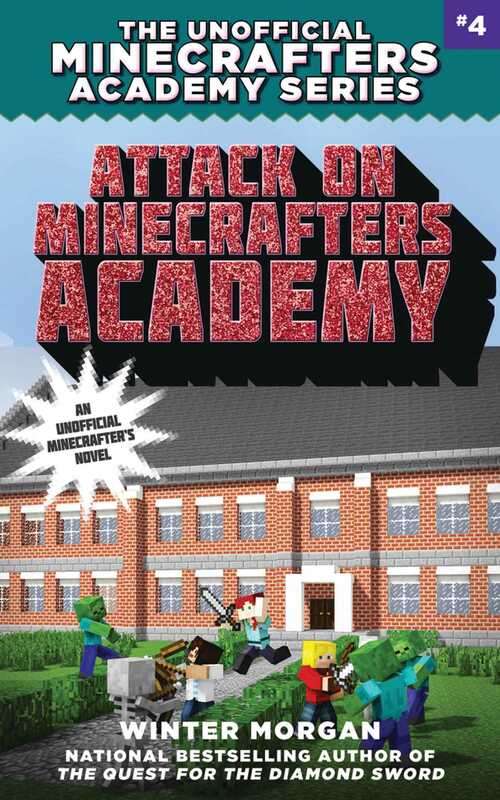 It’s up to the students and teachers of Minecrafters Academy to track down the villain behind the attacks and protect not just the school, but the entire Overworld. As the Unofficial Minecrafters Academy series continues, new friends and sinister new foes will be revealed.